Is your baby’s second birthday coming up? Then you know that the “terrible twos” stage is approaching. Since it can hit at 18 months or at 34 months, it’s less of an age and more of a stage of development -so you may be dealing with it when you least expect it. But is it as dreadful as everyone says? It all depends on how you handle it! Two-year-olds are just realizing that they are separated entities from their parents, which means they will be determined to define themselves, test their limits, communicate their likes and dislikes (as much as they can), and act independently. The downside is that toddlers are just developing their skills, so they won’t be able to accomplish everything they want to do and that is frustrating. 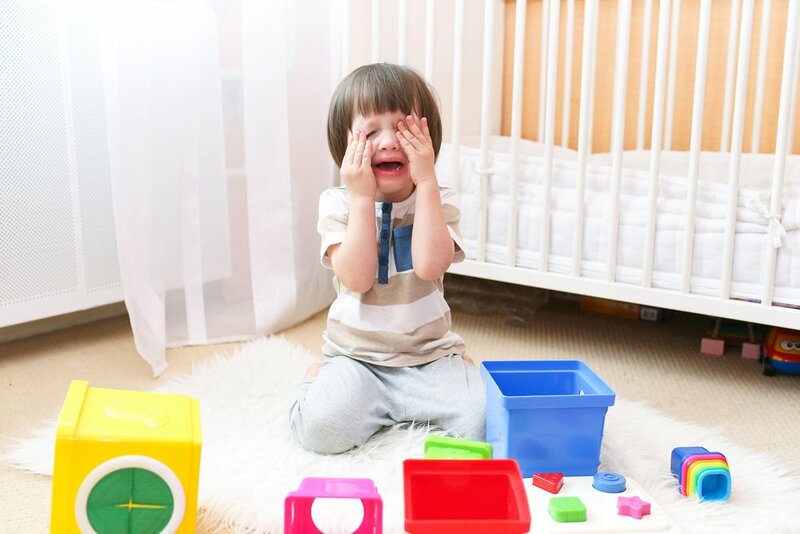 At this age, your little one will have a hard time expressing his feelings and controlling his emotional impulses, so his anger and frustration will tend to erupt abruptly in the form of crying, hitting, or screaming. During this period your little one will need your patience, as well as loving guidance to help him navigate through the rush of emotions he will experience. When you see a challenging behavior, it usually means that your child can’t figure out how to express his feelings in an adequate way or doesn’t know how to get his desires met. To cope with challenging behavior, your response should show a beneficial way to handle his feelings. Read books with your child and talk about how characters are feeling. That way, your child can name the feeling, and you can suggest a way to feel better or to solve the problem. Avoid trips to the grocery store when it’s too close to his naptime. Plus, make sure you have a snack with you in case your little one gets hungry while you are out and about. If you must go out to the store, try to do it during the part of the day when he is generally in a good mood. By avoiding trips when you know he’ll be cranky, you can avoid complications! When a child refuses to do or stop doing something, the problem is usually control. First, remember to use a calm voice and words that are neutral and positive. Keep in mind that suggestions encourage more cooperation than commands. So rather than imposing a command on your little one, show him a limited set of choices. For example, if you want your child to clean up after his toys, ask him: “Which would you like to pick up first, your blocks or your books?”. Be sure the choices are limited, specific, and acceptable to you! Another example could be to offer 2 choices of different outfits for him to wear during the day. This will give your little one a sense of control and support. Although self-control develops over the years, you can take advantage of daily moments to teach your child this valuable skill. One of the best ways to teach self-control is through games, specifically those that require taking turns. Those types of games are great for practicing how to wait, control impulses, and share with others. Pretend play also offers many chances to wait, take turns, and negotiate as your little one decides how the story will progress. Even though the “terrible twos” will be a difficult period for most parents, it is an important time for your child to develop independence. Try to make this stage in his life as positive as possible. Remember that teaching him how to deal with his emotions now will pay off in the future!